The Loving Story is an Oscar-shortlisted film that is the definitive account of the landmark 1967 Supreme Court decision that legalized interracial marriage: Loving v. Virginia. 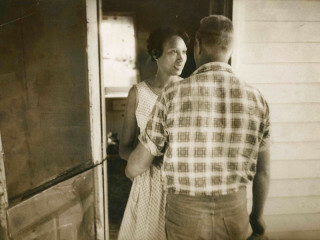 Married in Washington, D.C. on June 2, 1958, Richard Loving and Mildred Jeter returned home to Virginia where their marriage was declared illegal - he was white, and she was black and Native American. Hope Ryden's luminous, newly discovered home movie footage of the Lovings and their feisty young lawyers and rare photography by Grey Villet are stitched together in the debut feature by Full Frame Documentary Film Festival founder Nancy Buirski. The film takes viewers behind the scenes of a pair of unlikely civil rights pioneers and their real-life love story. The screening will be followed by a talkback with the filmmakers. $10; Free for Members and high school students with valid school IDs.